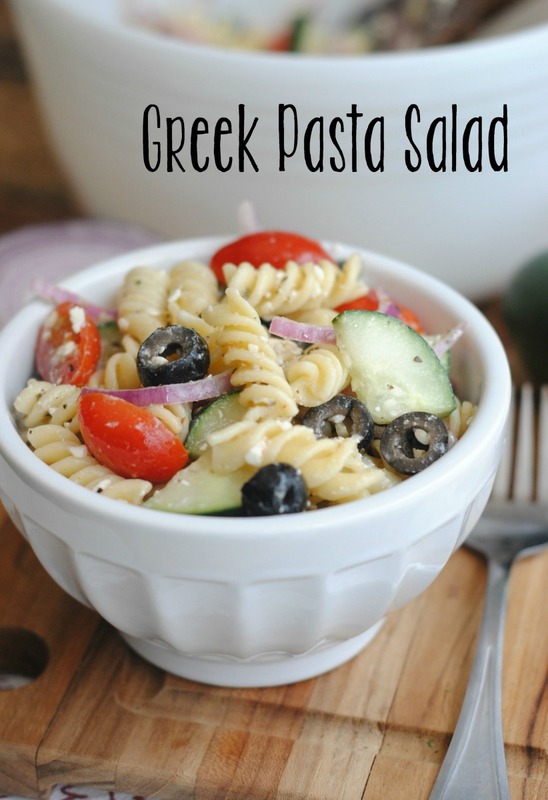 I adore the Mediterranean flavors…so much so, that a visit to the Mediterranean is on my “someday travel bucket list.” This simple, tasty and fresh pasta salad is loaded with flavor and completed with a homemade Greek vinaigrette dressing. If you’ve never made your own vinaigrette dressing, might I suggest you start with this one! 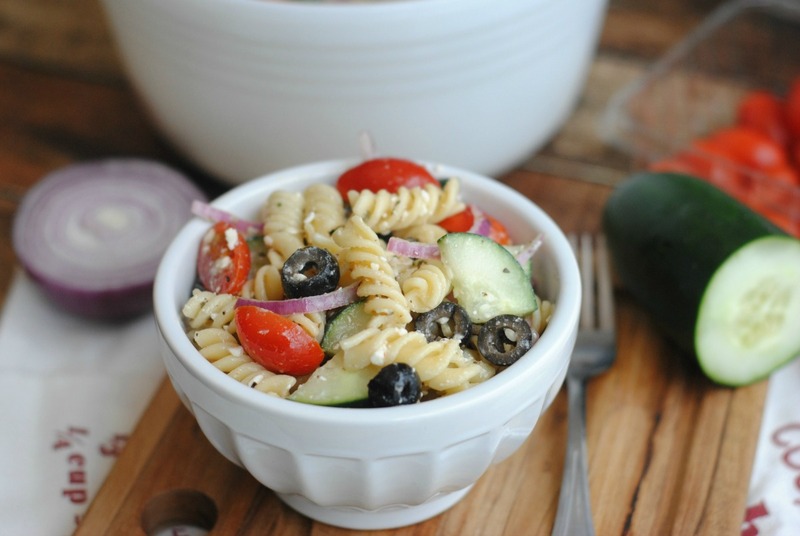 Also, double up on this and then you’ll have a delightful and fresh pasta salad to enjoy all week long! Cook the pasta and run cool water over it. Add all the fresh goodness with the pasta. 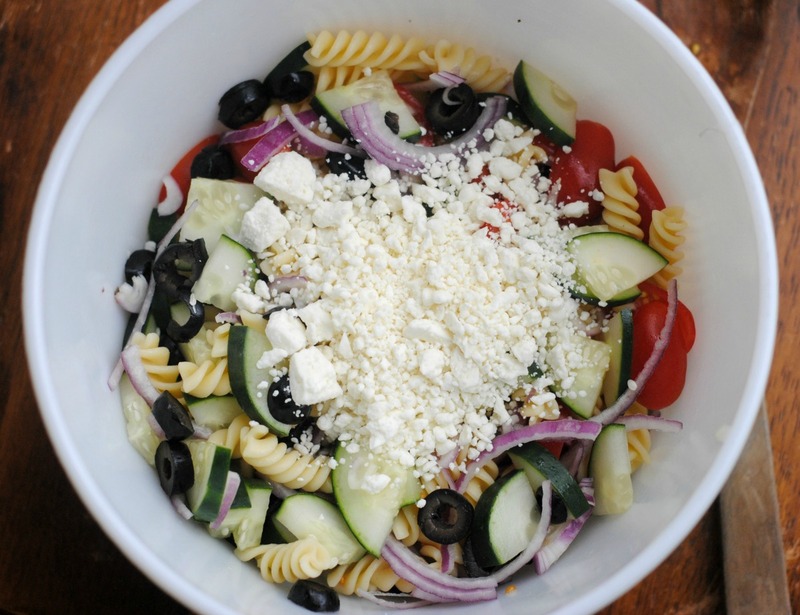 Pile on the feta. Don’t be shy here. Mix it all up with the homemade vinaigrette! And devour! 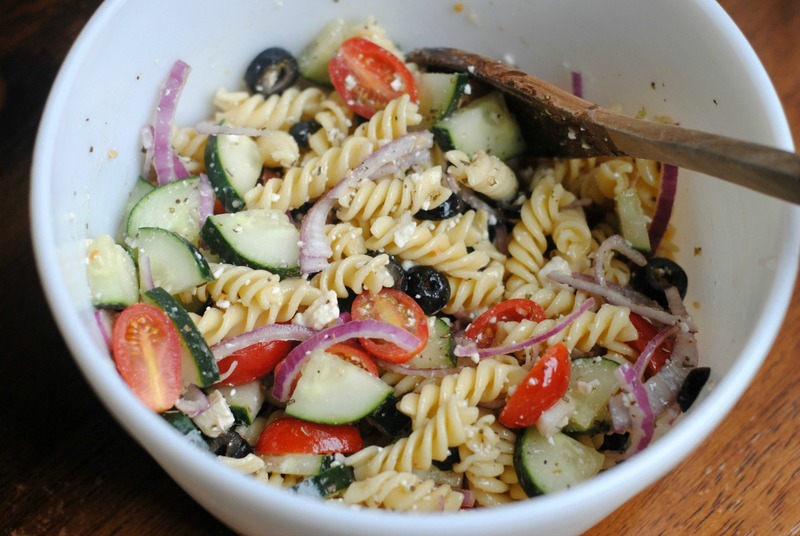 Love, love, love this pasta! Bring a large pot of water and 1 tablespoon of olive oil to a boil. Add in the uncooked rotini noodles and boil for about 8-9 minutes. Drain and rinse with cool water. 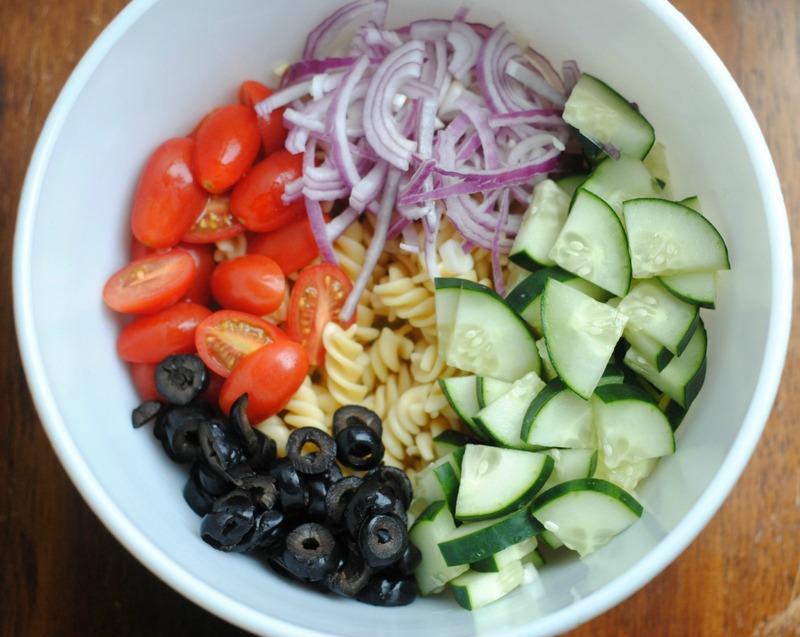 Combine the cooked rotini noodles with the cucumber, tomatoes, feta cheese crumbles, red onion, black olives, salt & pepper, mixing well. Set aside. In a small container with lid, combine the red wine vinegar, olive oil, garlic powder and dried oregano. Whisk Shake well. Poor the dressing over the top of the salad and gently stir to mix. Add more or less to taste. Place in the fridge to cool if not serving immediately.